This last few days, this pump the Bettas BT 6000 behaving strange, it cut off unpredictably and after some period it kick in again. 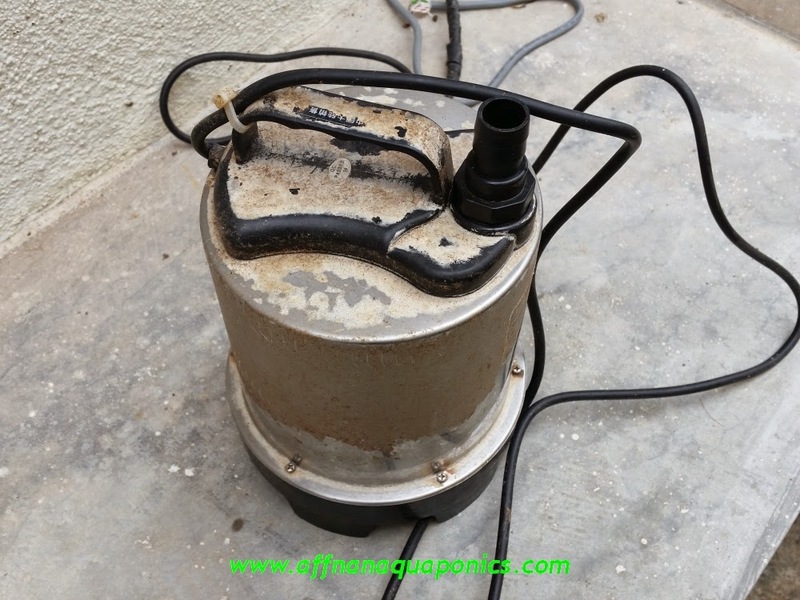 Usually electric motor if it is doing that it's a sign of overheating. 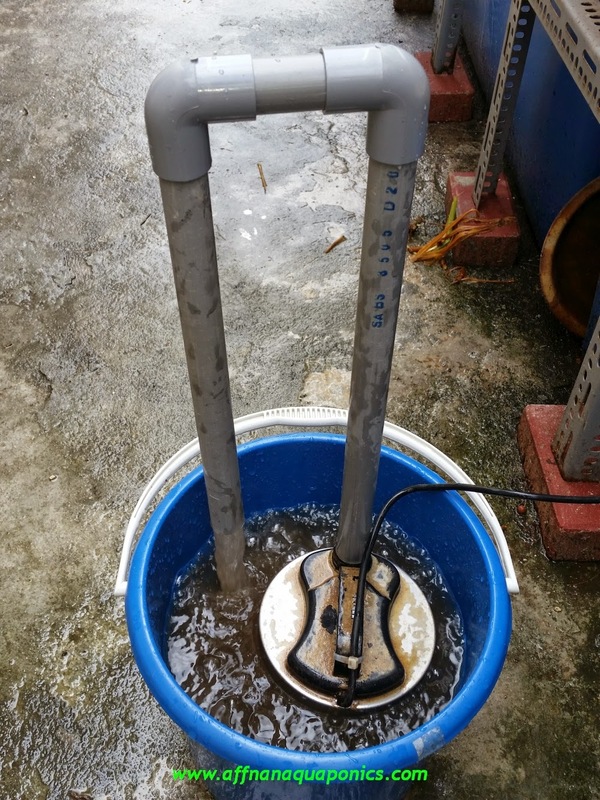 Bought this pump last year and been running without any glitch, so the only thing to do is to give it some good cleaning. 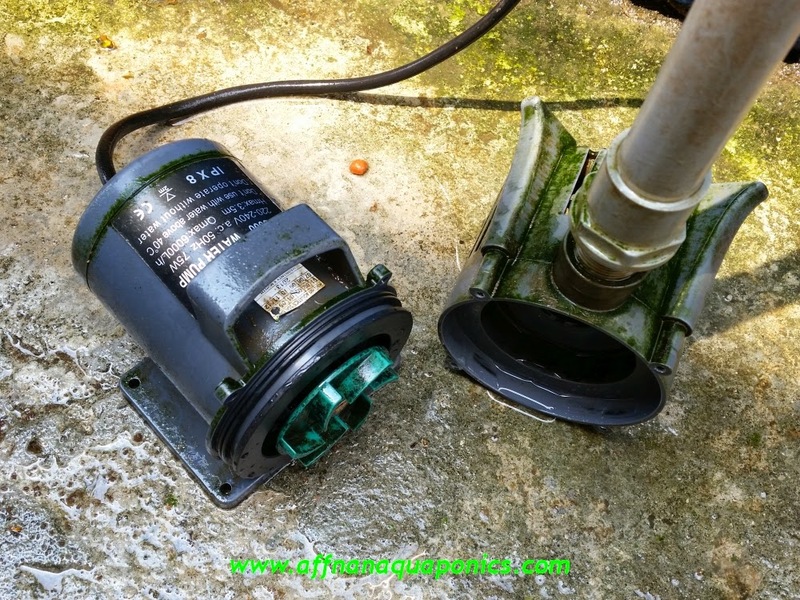 Dismantle it and no sign of any damage either on the impeller or the casing, the rotor of this pump requires cooling to ensure safe operation, there is a water channel that let water circulate and out from the center of the pump. If this passage is blocked it could cause overheating and the pump shut down to protect itself. Opening at the rear as part of the water passage, over time this can be filled with sludge if not cleaned. 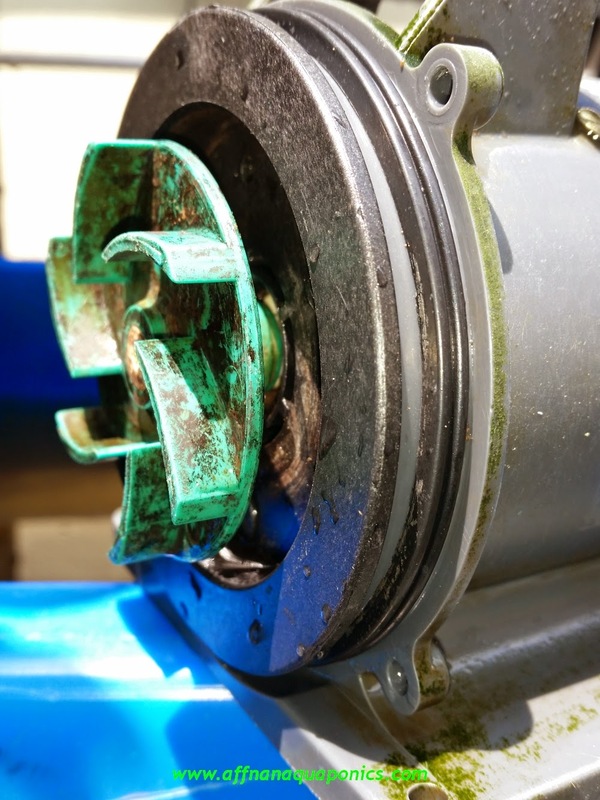 Just in between the impeller and the casing there are few slots that allow water to pass, this together with the holes on the back form the water passage. As the pump rotates this area will be pressurized for water delivery. 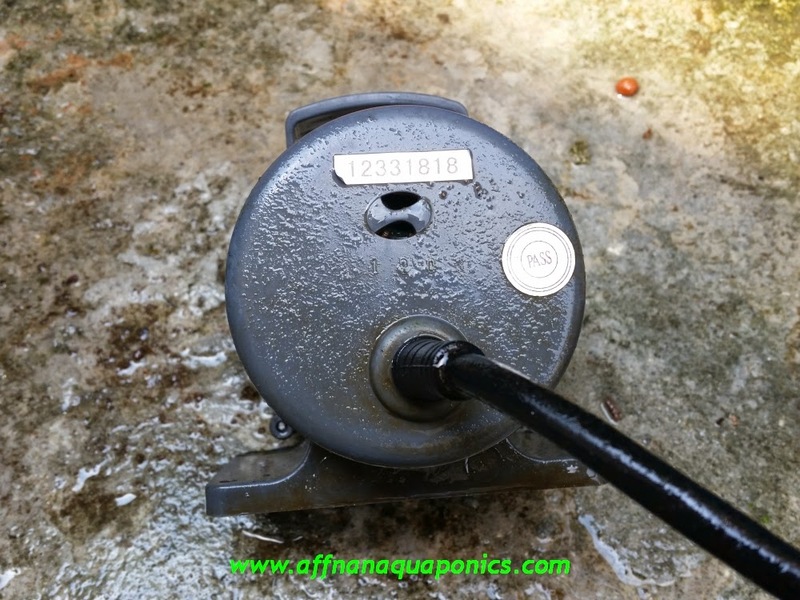 Part of this pressurized water will flow into this slot and out the back to cool and lubricate the pump similar to a case drain system on a hydraulic pump set up. If this is blocked then pump could overheat, worst case it can damage the pump due to insufficient water lubrication and thermal stress. It is a good thing that this pump has an inbuilt protection. I suspect there is a thermal overheat switch that open and cut power to pump stator coil, most big motor fans has these switch. After sometimes when the motor cool the switch will automatically closes and the power resume, that is why I got that intermittent operation. Hope there is no other damage and I am monitoring its operation closely. As a back up this Resun Penguin pump is there and ever ready if needed. Its been decommission since the Bettas BT 6000 take over it role. So, still going strong and no problem with its operation.